The 2018 Major Baseball Season has come to a conclusion. Congratulations to the historically great Boston Red Sox for winning the World Series. And they won it in style. The Red Sox won a total of 108 games in their regular season and had the record of 11-3 in their postseason. Not only this, they were cruising through the entire season as the worst condition they ever faced was when they were tied at 1-1 in a best of five series. 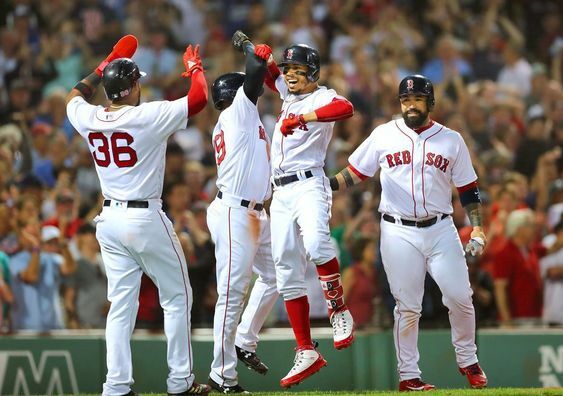 The Boston Red Sox proved themselves to be the invincible of the game. But now, its time for the big one. The offseason. And this is not going to be an easy one for Boston. Every team is disappointed by their performance in the World Series and the offseason is their chance to prove their dominance. It is expected that the Yankees, Cubs and Phillies will be working with their offense, while The Braves and Athletics would just like to cruise away with their momentum. We are expecting that Boston and Astros too would not be bringing in any major changes. Both of them have some free agents and its highly unlikely that they will roll over them. And then there are The Dodgers. The perfect baseball team you can ever ask for. But they are still sitting at Zero World Series titles and its disappointing for their fans. The Dodgers might have the perfectly balanced team for the offseason, but we are expecting that will trade in some crucial players. As per reports by Matt Snyder of CBS, this season will bring in an awful lot of changes, maybe more than we have ever seen in the history of baseball. He has also prepared a list, giving out his opinions on all the contenders for World Series 2019. As per his reports, Red Sox should retain Craig Kimbrel. But the performance of Alex Cora in the playoffs might raise some doubts in the team management. The Astros, on the other hand, should make a major decision on the future of Dallas Keuchel in the team. The Yankees burnt their own home by not spending a single penny last offseason. They registered 100 wins but then also, the World Series was a disappointment for them. Matt considers Dodgers to be the “most fascinating” team for the offseason. For everyone else, Matt believes that the offseason is the perfect time to capitalize and not be passive. Braves, Cubs, Indians and Nationals have a fair bit of chance and they should go on the aggressive side for this season.